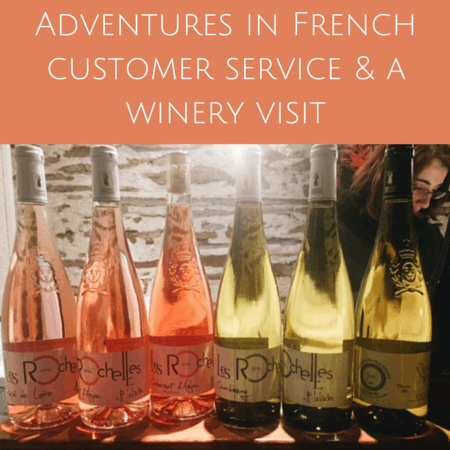 The words “good” and “customer service in France” rarely go together in the same sentence unless you’re saying, “It’s impossible to find good customer service in France.” I’m not joking. This can be frustrating for Americans who live in a land where the customer is always right. In the US, if you have a broken product, the store will replace it with a new one. No questions asked. Have to return some pants that were too big? No big deal, they’ll take them back even without a receipt. Bought makeup at Sephora that you used and then realized it gave you a rash? They’ll take back the used product and refund your money. But is this how it works in France? Nope. I bought a coffee pot which arrived broken and I had a greaaaaaaat convo with a customer service rep at Amazon this morning. Oh, and my dad is here and we went to one of our favorite wineries over the weekend. 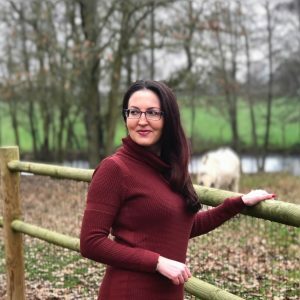 So first, my French customer service woes. France is on point with a lot of things like wine and cheese and medical care and a whole lot more. But customer service is not one of their strong suits. 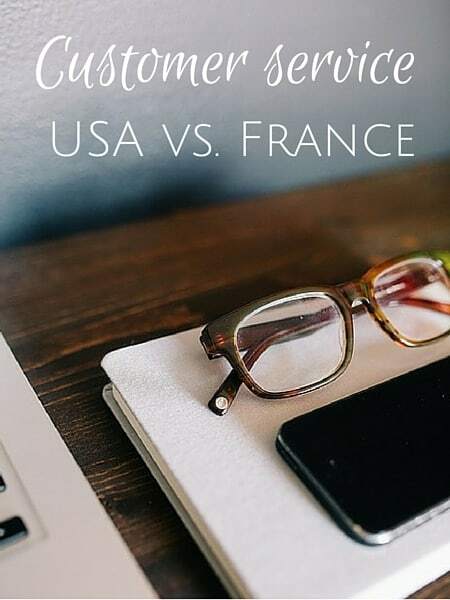 I’m sure awesome customer service exists in France, but in general, return policies and procedures are quite different than what an American might be used to back home. It’s just part of life here and you take the good with the not so good. Calls to customer service departments are often toll calls, wait times can be long and in general employees tend to not be overly accommodating. I’m used to it. But when a product arrives damaged, why do I have to jump through hoops to get the damn thing replaced? To make a long story short, I bought a basic coffee pot a couple of months ago from Amazon.fr. I took it out of the cardboard box it was shipped in but stupidly I didn’t inspect the actual item since I was saving the pot for when we had company. I put it in the closet until last week when my dad arrived. 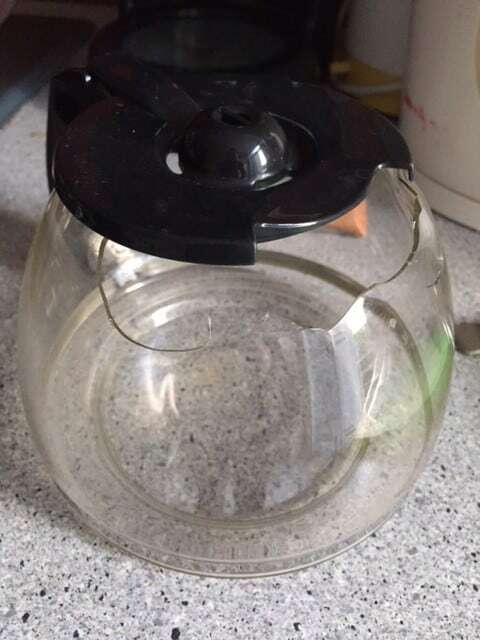 Sure enough, the little plastic handle was broken up top where it connects to the glass pot and a piece of the plastic that had broken off was in the pot. 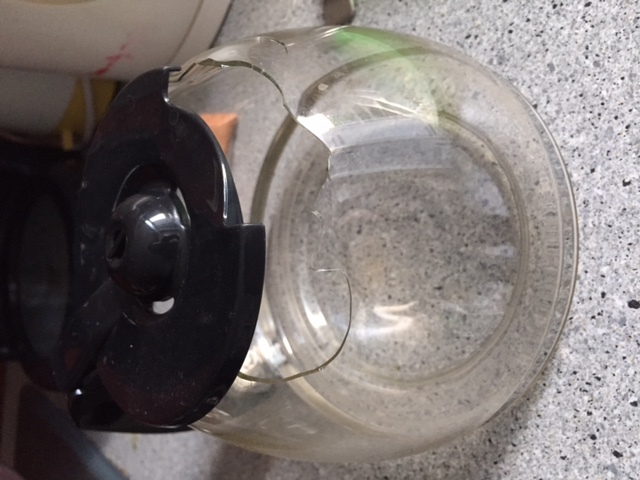 We figured we’d try to use it anyway since it seemed functional, but this morning the handle totally broke off and glass went everywhere. I contacted Amazon France’s chat service right away. I figured they’d send me another unit or at least the glass coffee pot part. I even offered to send pictures as proof. But nope, they told me I had to contact the manufacturer, Melitta, and send the product back to the manufacturer directly. He went on to tell me that Amazon (the site I bought it from directly, not a third-party seller on Amazon) was not able to reimburse or replace the coffee pot. Why would Melitta want a broken coffee pot? I didn’t want to spend time packing up a broken pot and taking it to the post office. Waste of time. I said I’ve already spent time contacting Amazon France chat and cleaning up glass this morning and was hoping they’d just be able to send me a new one or at least reimburse me. Even partially would have been a step in the right direction. But nope to all of those options. Awesome. No idea if it’s because a few months have passed since my purchase or if Amazon doesn’t deal with defective merchandise — even if Amazon packaged the item poorly and it was seemingly damaged in transit. The heck with all that. I’m buying a new one… and learned my lesson here: Open up all boxes and check the product in a timely manner. And don’t expect French retailers to be overly accommodating if something does go wrong. US Amazon and the French Amazon are not the same. This isn’t an isolated incident. A few months back we had a faulty cable box and it took Tom 4 phone calls and over 2 hours of diagnostics and getting put on hold and going in circles for them to replace it. Everyone who lives in France has stories like these. Deep breath. And their property is beautiful. How has your experience been with French customer service? 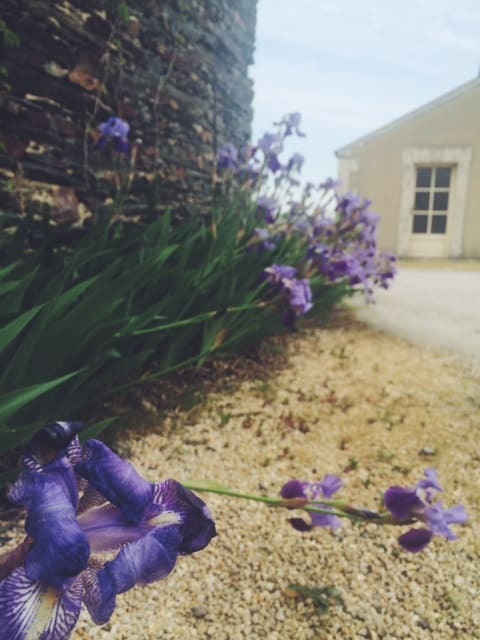 Visit any wineries lately? We love wineries. When we lived in San Diego we tried to visit all of them. We reached our goal until new ones popped up after we moved. Now in NY, we have the new goal of hitting all the wineries on Long Island (even more out there). It’s a tough job but we’re up to the task. 🙂 When we were in Paris, in 2012 & 2014, we took a day trip each time, one to Reims & Epernay, the other to Chablis. 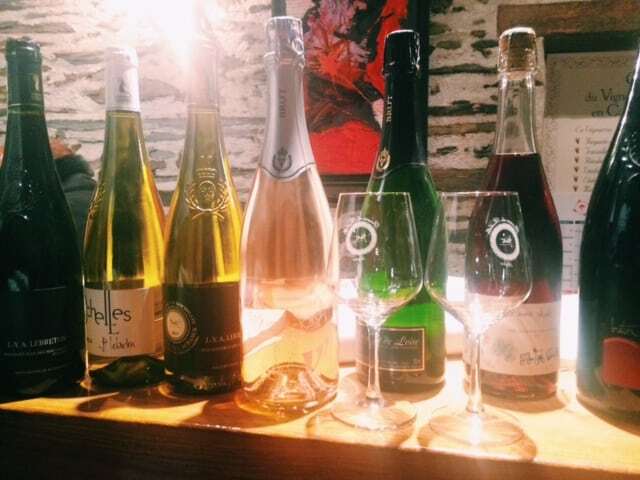 Champagne tasting was my favorite. I’m obsessed with Champagne. Zimmerlin-Flamant was one place, Achille Princier was the other. 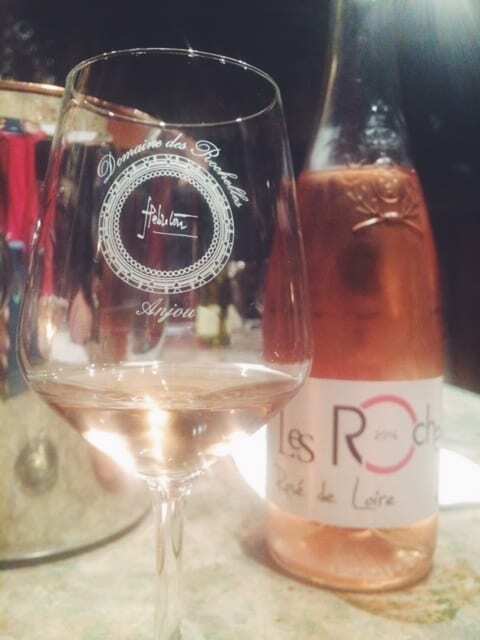 I think the place in Chablis was Laroche. I had a similar problem with Pixmania : I didn’t even know that I had ordered from Pixmania France (I ordered from a website that “seemed” to be pixmania belgium!). The external hard drive that I bought didn’t seem to work on its “stand” (is that the right word? the thing to hold it vertically). I wrote to them, thinking that it’d be simple… oh was I wrong… they wanted me to send them back the item by DHL only!! it would have cost me a fortune!!! I was lucky because the socket was just not straight and I managed to make it work, but I will never EVER again order something pricey online!! In Belgium we have a lot more empathy, and customer service really tries to arrange things, but in France… it’s just like talking to robots, they’re horrible, they do not care at all about customers, it’s like they just want to steal you and then it’s not their problem anymore… I hate that mentality! Ugh, what a mess! 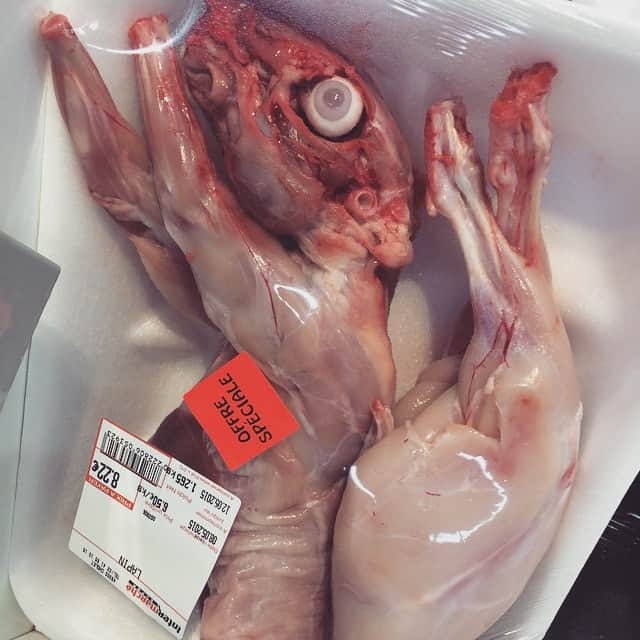 I know of the site and how sometimes it’s hard to tell where you’re ordering from. They do have good deals though! And YES DHL is great but soooo expensive — who would send back the stupid thing if that’s the only way?? It seems like France makes things difficult to almost discourage you from attempting to get service in the first place. Either toll calls or expensive shipping you have to pay for, etc. So happy to hear Belgium has good customer service. They should share this mindset w/their neighbor France! Being French living for ages in Belgium, I always got the opposite experience regarding customer services. I have never seen a worse customer service than in Belgium. 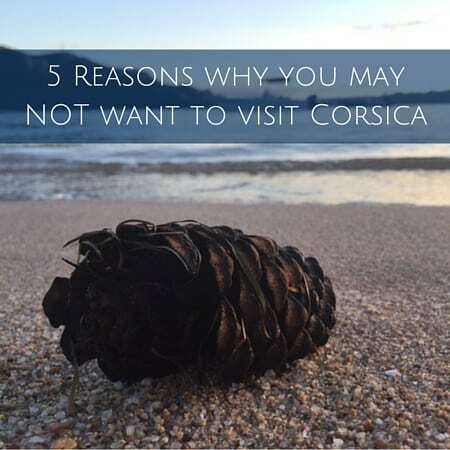 It’s a bit like if you literally annoy shop keepers or waiters when you enter their business… France is so refreshing in that matter. We’ve actually had pretty good luck with Amazon.fr, although, I agree, it’s not Amazon.com. We’ve returned 3 or 4 items that either weren’t what we expected, or broke within 30 days. After the 30 days, we’ve even had good luck getting a bicycle fixed when a sprocket broke. Although to be fair, it was a German company who reimbursed us for getting it fixed locally, rather than sending it back to GE for a fix. Oh good, I like hearing happy French cust svc stories! I think within the 30 day window, things go more smoothly, but even still, I think they want you to send back the broken item at your expense which is a waste of everyone’s time and money. I got pants once from an online retailer in the US and after one wash you could see through the back. I guess the material wore thin in the wash, just junky quality. No questions asked, the company 100% reimbursed me, told me to throw the pants in the trash (no need to send them back) and gave me a 20% discount for a future order. Wish it was like that here! 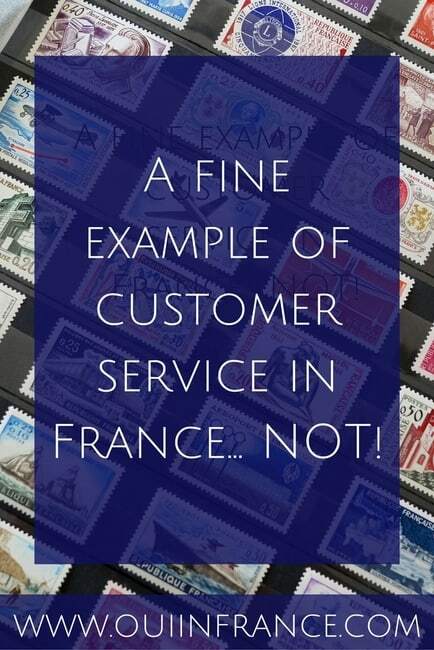 I agree about French customer service. They seem heartless and they do not care. I love customer service in the UK. Whenever I’ve ordered anything from there, I got very formal and polite communication about the item, though I’ve never tried to return anything there. I see glass coffee pots in thrift stores all the time. Maybe you could find a cheap replacement at a flea market or thrift store. It’s so frustrating to receive a broken item and then to be stuck with it! I guess French people are just used to it! But I must say that coming from a country where customer service is GREAT, I really notice the difference with how the French treat customers. Even Tom who has never lived in a country besides France gets fed up, so maybe customers should strike!! Hahaha. I am absolutely buying a new coffee pot at the little thrift store near me. I bet it’ll cost 2 euros. Excellent idea, thank you!